For a software with the name tag of Solid, one should not expect anything less than a solid and efficient output. With this in mind, let us get to explore the things that Solid Document PDF To Word converter brings to the table. So much like SmallPDF which is one of best PDF to word converters, Solid Document has an online (web-based solution) and a desktop downloadable version. This aspect of it makes me like the converter. Away from that, this converter has a very easy to use interface that comes with one Home button. This means that everything you need can be accessed from one tab. The downside to this is that it means there will be limited features to be seen and used. 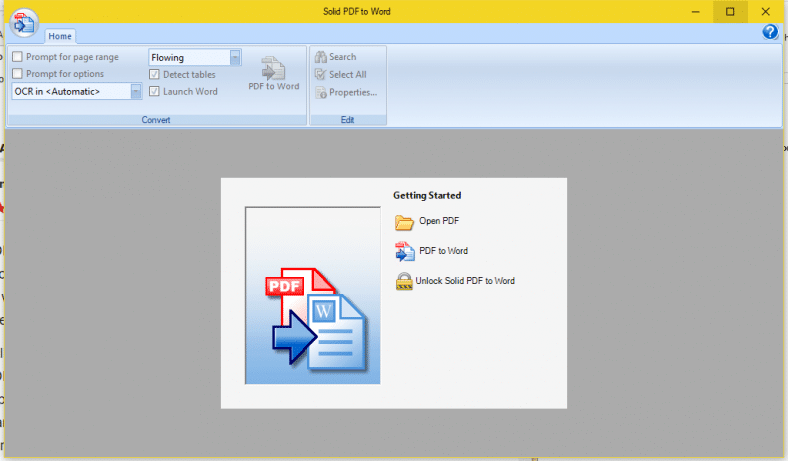 Unlike Free Online OCR PDF Converter, Solid Document has the drag and drop feature. This allows users to just drag the file to be worked on from the folder and drop in the app. This feature, although appear inconsequential, is a very good one because it makes working with the app usage very sleek and easy. After download, I decided to try out the app instantly to check out the quality of the delivery it brings to the table. The first document I uploaded was a 78 paged file. This took about 40 seconds to complete upload. Then I tried again with a lesser-paged file (15 pages) and the upload was much faster. This made me conclude that the upload speed is based on the volume of the file and not necessarily a lag in the system of this app. Now, to the output. After conversion to Word document, there was no recognizable difference in the PDF and the Word file. Everything came out in the exact places and format. The converted Word file appeared just like the original document. This goes to say that the conversion output of Solid document is top notch and of very high quality. However, the only visible difference is that the font style was a bit lighter on the converted Word document compared to the original PDF file. For the regular user who cannot take their time to do all the necessary settings, this is a very good feature. 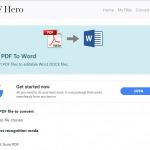 It makes the Solid Document a ready-to-be-used app right after download. Then there is the OCR feature. 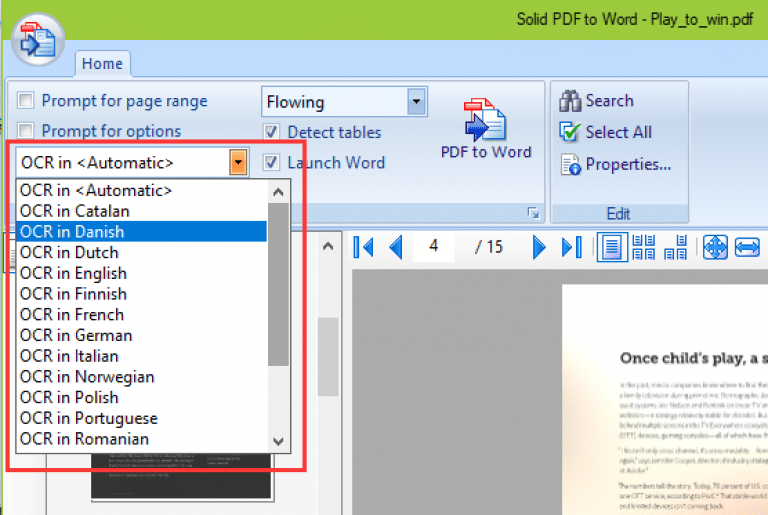 Solid Document PDF to Word converter comes with an OCR feature that can read files in over 15 languages. From Danish to French, Finnish, and German. It means that it can safely scan and translate files in these languages and get you to work on them without a fuss. The good part, however, is that you can leave it in the automatic mode which will allow the system to detect the language that the files are in and allow it to work on the file. Thus far, all that I have tested on this app has come out with very good result. Everything from the converted output to the intuitive nature of the app design and the simplicity of the interface, everything has been good. Without a doubt, one can say that the app deserved the name it is called: Solid Document. This is because it comes out with solid results in every area.